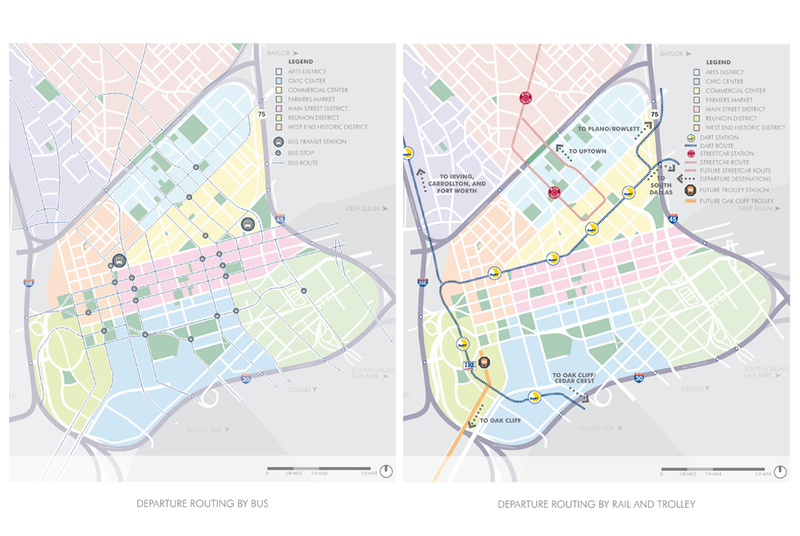 In 2001, Downtown Dallas Inc. and the City of Dallas Department of Economic Affairs established a comprehensive wayfinding system for the city center. 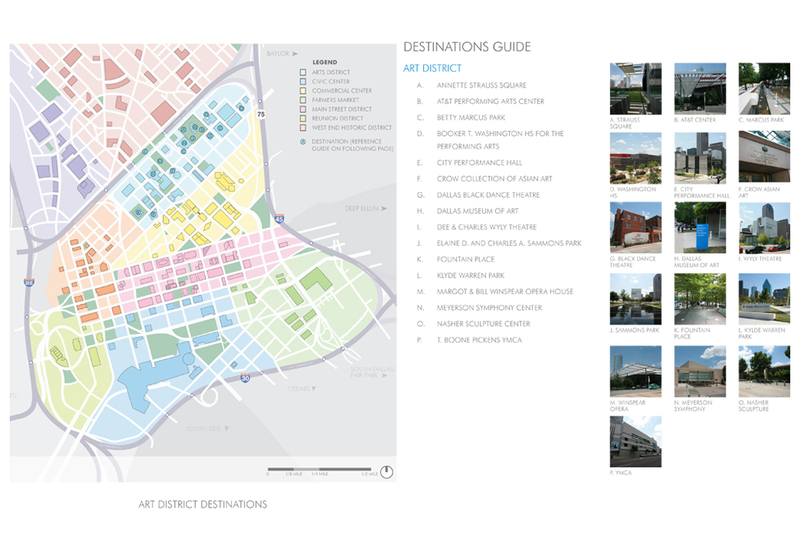 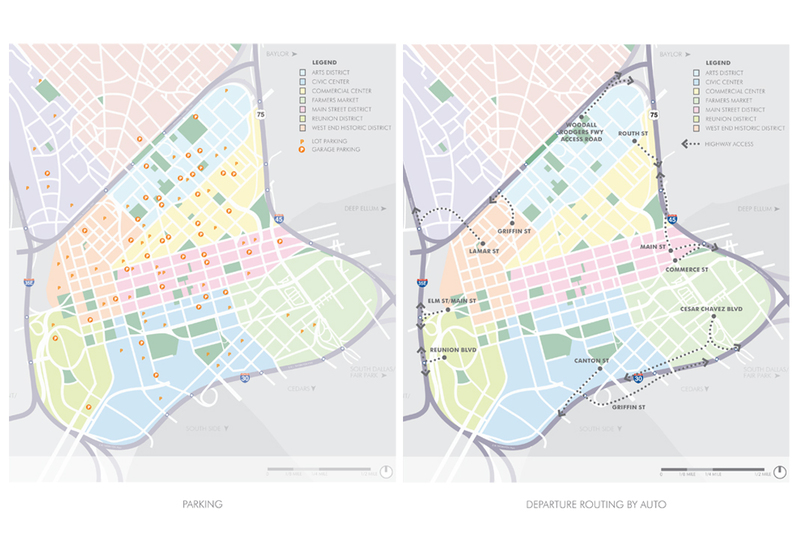 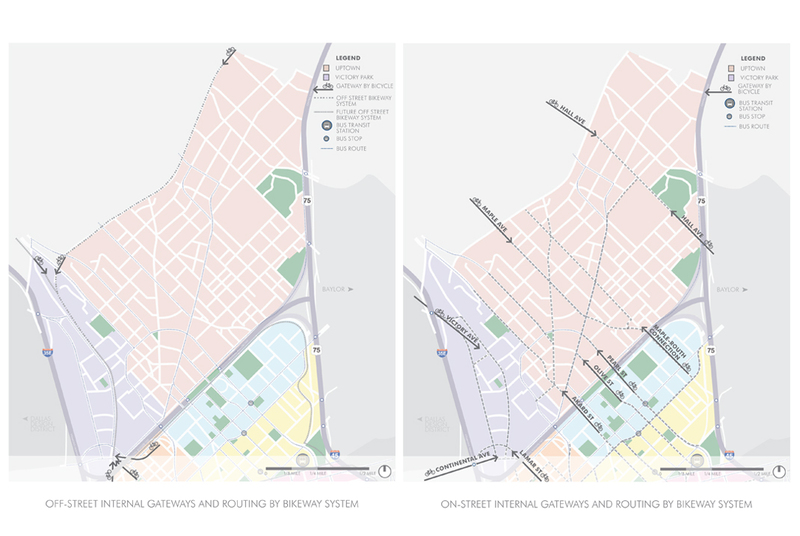 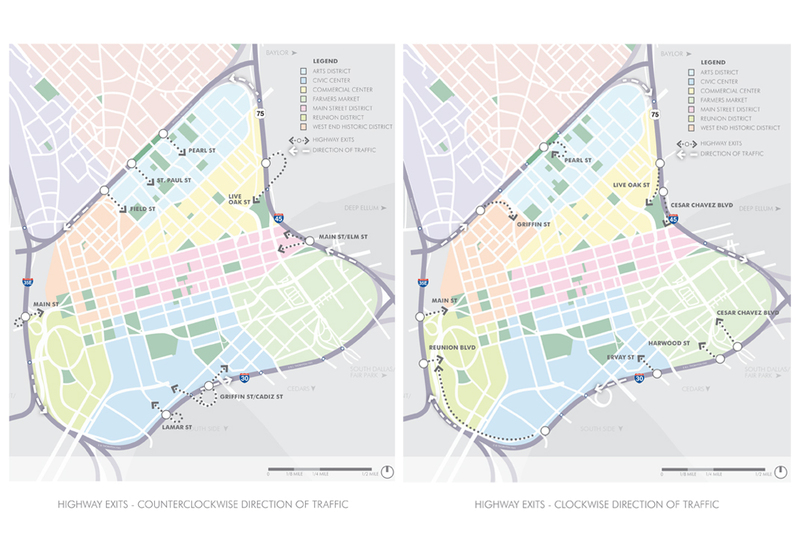 In 2013, Kevin Sloan Studio was commissioned to update and extend the system in response to a decade of new infill construction that includes the Arts District, the Uptown area, American Airlines Center, DART light rail and the Klyde Warren Freeway Park, all of which are rapidly transforming downtown Dallas into a vibrant urban place. 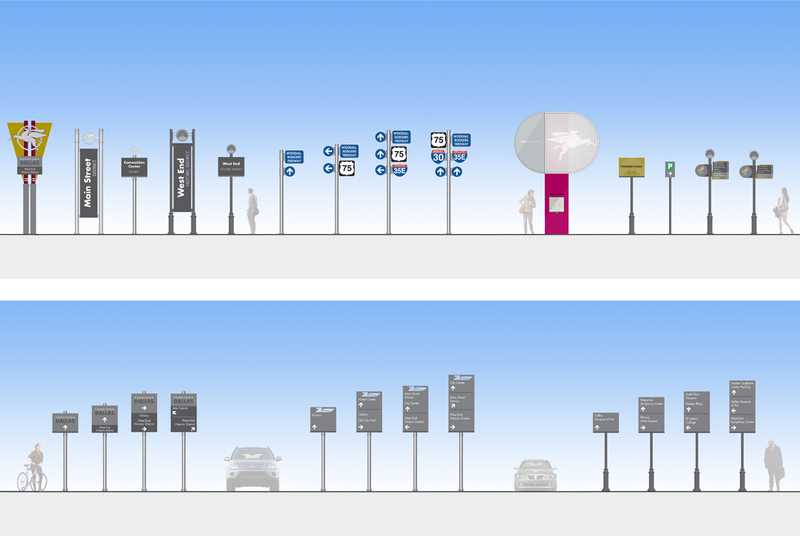 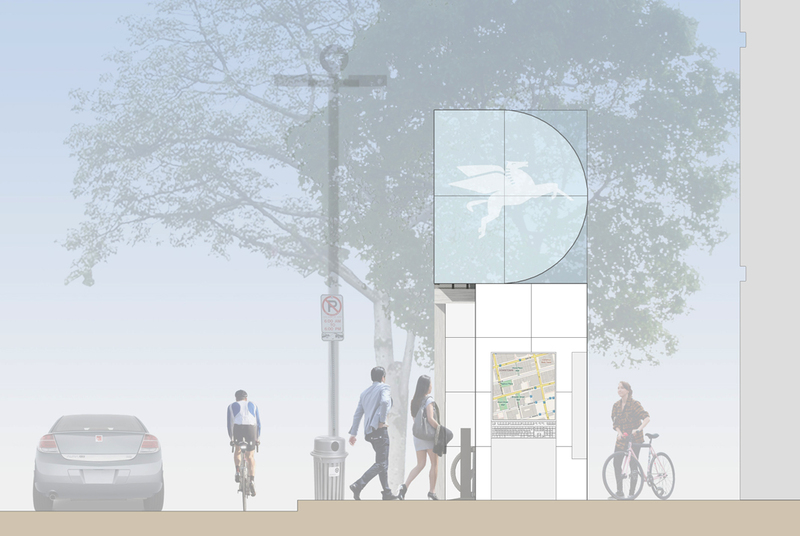 The study coordinates with the DART light rail and the bus system and also eliminates redundancy with signage information that is part of the new urban bike network. 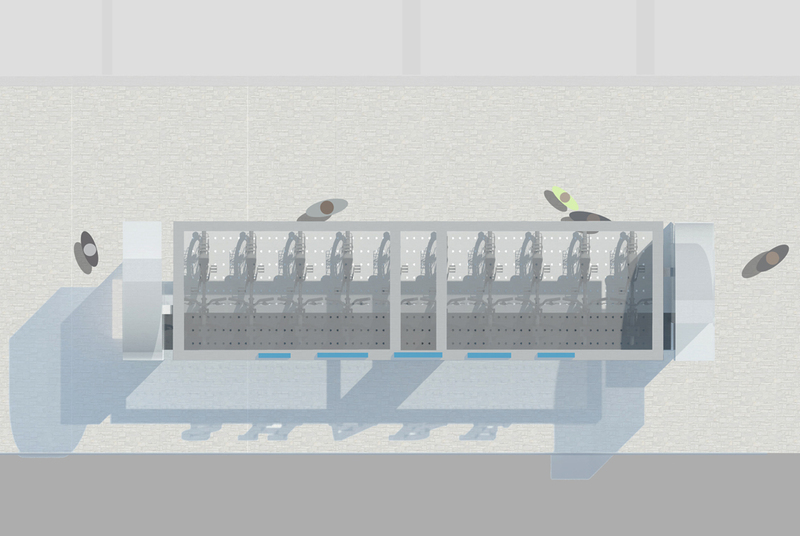 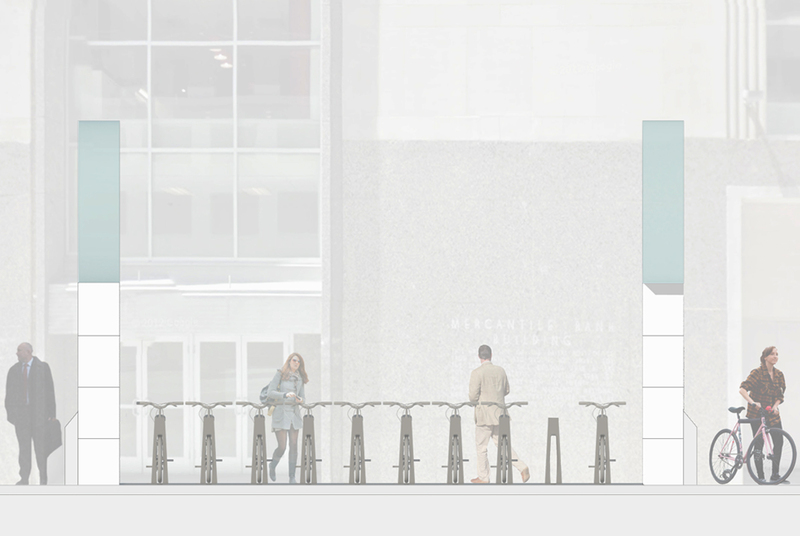 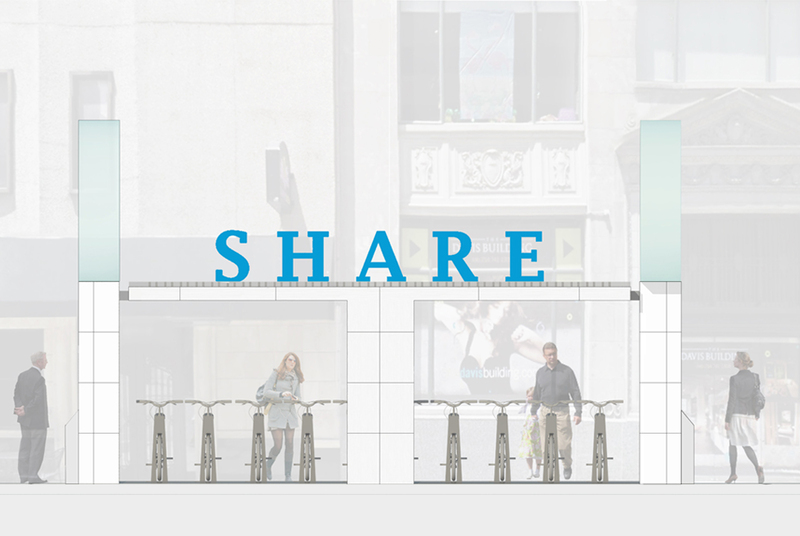 A feature of the study is the D-Share, which provides a new digital counterpoint to the generally analogue signage system through iconic “Big-D” kiosks that will group and identify the new bike sharing stations.